Yesterday, I wrote about what I feel is a no-win situation in terms of the legalities of providing a positive or negative reference for a former employee. Today, I just have a brief follow up on how potential employees and employers burn references unnecessarily. Employees must understand that the person providing the reference is doing them a favour and taking time from their busy schedule to provide this reference. While in most cases they are happy to assist the friend or ex-employee find a new job, they do not want to be called by eight different potential employers over a span of two weeks. It is thus incumbent upon employees to try and mitigate or control the use of their references until they are a finalist for a job they are serious about. I realize that this is often beyond the employee’s control, but they need to understand that each time they request a reference from the same person; they are using up a limited amount of goodwill. Although you should always thank your reference sources for helping you in your search for a new job, it would also be prudent to thank, apologize and warn them when you think the potential employer may have wasted a call early in the hiring process. I think such a call would provide some goodwill credit, as you are showing respect for your reference’s time, even if the potential employer did not. On the flip-side, employers need to respect both the employee and the reference to a greater extent. If an employer is nowhere near a decision, why call a reference? You are wasting the reference’s time and using up the employee’s goodwill unnecessarily. In my opinion, there is absolutely no reason to call references until you have narrowed your group of job applicants down to just a few finalists. Bloggers Note: A reader sent me this Dilbert comic strip link on references after reading yesterdays blog post. I think it is "bang on" the point being made yesterday and quite funny. Thanks to the reader. I am occasionally asked to provide verbal and/or written references for friends, acquaintances and former employees, whom I respect professionally. I am also asked to provide references for ex-employees where my level of respect for their professional abilities, to be charitable, is far lower than the aforementioned. However, if I was asked for a reference, you may not be able to distinguish the person I like, from the one I would not recommend. That is just a sad reality of today’s litigious society. So why would you not always be able to clearly distinguish my references? Kate McNeill-Keller of McCarthy Tetrault LLP, provides the answer in her article on Post-Employment Reference Letters: -Guidelines for Employers, “Employers face a two-fold concern over providing post-employment references. First, there is the risk of a defamation suit by the former employee as a result of a negative reference. Second, there is the risk of a claim for negligent misrepresentation by the subsequent employer as a result of an inaccurate or incomplete reference. While these risks should be considered (especially in regard to the content of the reference), they are generally outweighed by the risk of refusing to provide a letter of reference". Although Ms. McNeill-Keller’s article discusses post-employment reference letters, we have been informed by our lawyers that the same issues essentially hold for verbal reference calls. Many employers have been counseled by their employment lawyers to keep references very vanilla and in essence, fairly nebulous. Thus, in cases where I may have let go of an employee for in part, a lack of skill; I cannot come out and say such. Often when I get off the phone after a reference enquiry, I wonder what the person on the other side is thinking. The same holds for when I call for a reference check. I know prior to the call, that in most cases, the call is a pure waste of time. However, I call because on the odd occasion you get to speak to someone who has not been appropriately advised and they tell you more than they should. Alternatively, since I know how I sound, I try and pick up from a person’s tone and lack of enthusiasm if they really were keen on the applicant or not. 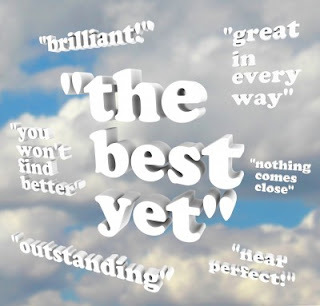 Where I would like to provide a positive verbal reference, I am always somewhat pensive and tone down my enthusiasm, since I am concerned that if the person I am recommending does not work out for the new employer, for whatever reason, someone will claim I misled them. I actually received a reference from someone I know socially that totally ignored a fatal flaw of her former employee. When our firm later let that person go, she told me she felt terrible when she got off the phone with me, but she was counseled not to say anything bad about the person. The above discussion is a sad commentary on the state of employment references and reflects how gun-shy many employers have become in today's litigious society. My reality is that where I want to provide a positive reference, I tone down my reference for fear of being accused of overstating someone’s abilities. Where I would provide a less than glowing reference in an unencumbered environment, I become what I call specifically vague. This is a no-win situation for the former employer and the future employer, so is there a point to references? I wonder whether social media references on professional networking sites like LinkedIn are any better, or has the usefulness of references run its course as society has become more cautious and guarded? Bloggers Note: A reader sent me this Dilbert comic strip link on references after reading this post. Thanks to the reader. My Twitter tax tips for this week are listed below. My twitter handle is @bluntbeancountr. If you will be receiving a severance payment/retiring allowance in 2013, or are planning to withdraw funds from your RRSP in 2013, ensure you pay attention to the first tip. Receiving a retiring allowance? Cashing an RRSP this year? 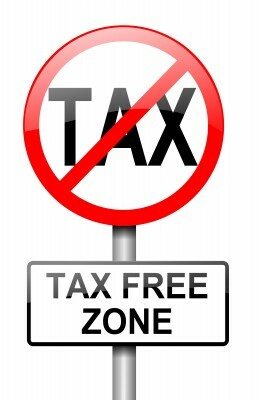 Beware, taxes withheld are often less than the tax you will owe. #blunttaxtip. Note: For a discussion of this issue, see this blog post. Note: Upon passing, if property is not transferred to a spouse, you are deemed to dispose of your capital property at death as if you actually sold the shares or real estate. The determination of the cost base of that property can often be problematic to say the least. My recent three part series on whether small corporate business owners should take Salary or Dividends , The Numbers and The Issues to Consider has been made into a more readable white paper on my firms Cunningham LLP's website. You can download the paper by following this link. Note: Full disclosure; you will have to submit your personal information. I am often asked by my readers in the comments section of my blog, if they should send in documents such as appraisals, invoices and interest expense statements to the Canada Revenue Agency ("CRA") to support a tax deduction, tax credit or cost base adjustment. They also ask should they write to the CRA and explain their situation. The answer in almost all situations is a resounding NO. I address this below. 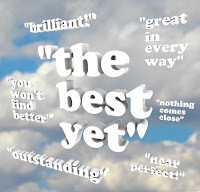 As readers of my blog are aware, I answer almost all the questions I am asked. I attempt to answer the less complicated questions (although they are often couched in case I was not with provided all the facts) and I provide guidance in response to other questions. Unfortunately, I am not able to provide answers in the areas of corporate or personal income tax planning, because of (a) time constraints (b) without knowing all the facts and circumstances; I cannot attempt to properly answer a question with these limitations. I however, do greatly appreciate my reader's comments, as they provide tangible evidence I have engaged them. A bonus for me is that the questions actually provide me with ideas and topics for future blog posts. 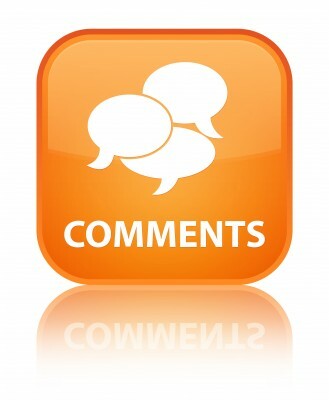 The comments provide feedback on which posts have wide appeal or are at least controversial topics. For example: my post on Is Your Corporation a Personal Service Business? has 76 comments, my post on The Income Tax Implications of Purchasing a Rental Property has 65 comments and my post on CRA Audit – Will I Be Selected? has 50 comments. For certain other posts, like Is it Morbid or Realistic to Plan for an Inheritance, I just enjoy reading the comments I receive. Anyways, back to the matter at hand. With E-filing, there are few hard documents the CRA requires to be filed initially. That is not to say the CRA will not follow up with an information request for copies of actual receipts to evidence expenses claimed such as child care and credits such as donations. For those that still paper file (starting in 2012, all accounting firms must now EFILE all returns), the receipts you submit essentially include any T-slips, RRSP contribution receipts, medical receipts and donations. That is all you should provide the CRA. If you have back up support for stock transactions, real estate transactions, interest expense or what have you, you should not provide these documents to the CRA unless you are requested to do so. In many cases, even if the item is contentious, the reality is that it will not necessarily be selected for an audit follow up. So why ever volunteer such information? In addition, people for some inexplicable reason have an urgent need to explain their actions to the CRA. I have had several cases where a new client who has engaged me to assist in a tax matter proudly shows me the 3 page letter full of reasons and excuses they sent to the CRA. I would suggest that in most cases, these letters are browsed through by the CRA. Where your letter is read in detail, I would submit the CRA representative is only looking for facts contained therein and they have little or no interest in your story and excuses (save your story for an actual auditor assigned to your case or a fairness application) unless you are providing them their dose of daily entertainment. What in fact you have done in many cases is provide the CRA an audit trail for an item probably not even on their radar. My advice is simple. Do not ever provide anything voluntarily, be it a document or a mea culpa letter. If you have an issue or need to correct something, engage an accountant, who will know how to finesse the item without providing more than is required. Remember, less is always more with the CRA. My Twitter tax tips for this week are listed below. 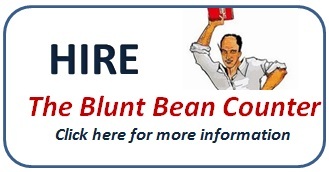 My twitter handle is @bluntbeancountr. Most tips have a direct link, thus, I have little commentary this week. Note: If you had a stock worth $1,000 with an adjusted cost base of $200 and sold the stock; at the highest marginal tax rate, you would have after-tax proceeds of approximately $815 ($1,000 less $185 tax). If you donated the $815, you would save approximately $380 in taxes from the donation assuming you had already made $200 in other donations, resulting in net tax savings of $195 ($380 less $185 tax). However, if you donated the shares directly, the charity would receive $1,000 instead of $815 and you would save approximately $465 in taxes. Unlike many hockey fans, I am not excited that the NHL is back. Personally, I think this season is a farce. In protest I watched the first season of the Sons of Anarchy instead of the Leafs and Hab's home opener. It took me several years after the first baseball strike to come back. I love sports, but I can easily live without watching them. So in keeping with the NHL’s legal battle theme for the 2012/2013 season, I today discuss an interesting income tax case involving an NHL player. Many professional athletes hire a sports agent to assist in negotiating employment terms with their teams and endorsement contracts with corporate entities. 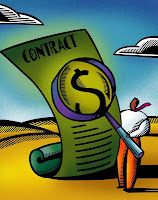 Typically, when an agent secures an employment contract for an athlete, he/she is required to pay a commission fee based on a percentage of the contract amount usually between 3-5% (for a list of the top paid baseball agents, follow this link). Although one would think such a fee would be a deductible expense to the athlete, that is not the case in Canada as Michael Caruso of the Florida Panthers recently found out when he went to tax court. Mr. Caruso’s case brings to light the differences in how athletes are taxed in the United States and Canada. As any sports fan could tell you, U.S. based players often cry the tax blues when they are traded to a Canadian team. The additional income tax payable became a significant point of discussion following the recent Toronto Blue Jays/Miami Marlins trade. According to this article, it may cost Jose Reyes traded from the Marlins to the Blue Jays as much as $5million in extra income taxes because of the trade to a Canadian team. Not only do U.S. based players typically pay less income tax as noted above, but the IRS allows them to deduct their agent’s fees on their income tax returns; although as discussed in this sports agent blog the IRS are auditing agent fees to ensure they are actually paid in the year they are claimed. The Canada Revenue Agency (CRA) position on the deductibility of agent fees is set forth in IT-168R3. Paragraph 6 specifically disallows the following expenses: “Players employed by sports clubs are limited to the same deductions from employment income as are available to any other employee by virtue of section 8. For example, fines paid by players personally are not deductible. Legal fees incurred in the negotiation of player contracts are also not deductible”. Back to Mr. Caruso. In 2008 he entered into a three year contract with the Florida Panthers. In 2008 he paid his agent MFIVE Sports Management (Anton Thun is the best known MFIVE agent) $2,927 and deducted the same amount on his personal tax return. The CRA promptly disallowed the deduction. Caruso then appealed to the Tax Court of Canada but the judge ruled in favour of the CRA. i) There were no facts to suggest that Michael Caruso’s agent, MFIVE, was authorized to practice law. Note that the CRA’s requirement only allows for legal expenses to be deducted. ii) Even if MFIVE’s services were considered legal services, the services were not for the purpose of collecting or establishing a right to salary or wages. A right to salary or wages can only exist after an employment contract has been signed – MFIVE only assisted in negotiating an employment contract that would subsequently give rise to a right to salary or wages. Although most of us have little sympathy for well-paid NHL players, it seems blatantly unfair to disallow an agent’s fee. In my opinion, the CRA is not recognizing the economic reality of the “employee” expenses a player incurs. 10. A vote for me is a vote for all unloved accountants everywhere (see the Big Cajun Man’s comment about many peoples “visceral hatred of accountants”). 9. 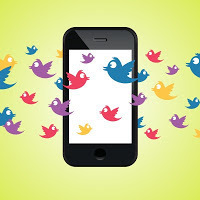 What other blogger provides a tax twitter tip a day while constrained by a ridiculous 140 characters? 8. I am not a frugal blogger like half of Canada’s bloggers (that deserves 1,000 votes on its own). 7. What other fun loving blogger gives you girls an alternative to the “I got a headache” excuse by suggesting you tell your significant other that you just want to stress test his death before you get down to it? 6. I provide ideas that can potentially save you thousands of dollars, instead of trying to save you 49 cents on a box of 12 Popsicles. 5. I discuss the various neuroses you will develop in trying to get wealthy, so you feel better if you are not wealthy. 4. I may occasionally be blunt and sarcastic, but at least you don’t feel like you are reading a Happy Days Blog. 3. What other blogger will tell you to use a 1% prescribed interest loan to set-up a family trust to allow you to pay for your kids private education tax-free and then tell you, that you only need $500,000 to $1,0000,000 to do it. Come on, no one else teases you like this? 2. What other blog solves a tax problem you did not know you had in a way you don’t understand (full disclosure, I read this years ago in a newspaper). 1. If I win the $100 contest prize, I will go on eBay and buy copies of Great Hockey Classics (which is on VHS by the way) Toronto vs. Montreal, the 1967 Stanley Cup Playoffs (awesome link) and provide those copies to Leaf fans born in 1968 who have not seen the Leafs win a cup in 45 years. This reason ties my blog together in a nice blue bow. Who needs to watch Leaf games when you know they will not win the Stanley Cup anyways? My Twitter tax tips for this week are listed below. My twitter handle is @bluntbeancountr. Note: This issue is twofold. Firstly, you should always maintain stock purchase confirmations or the annual summary to substantiate the adjusted cost base of any stock purchases. You also must maintain the original reporting letter and statement of adjustments for any real estate purchase. Secondly, many people do not keep receipts (or they may have paid cash) to substantiate cost base additions to their rental properties or cottages. Without these documents, you may have a difficult time convincing the CRA that the adjusted cost base of the real estate is higher than the original purchase price. Note: While most accountants have embraced E-Filing by now, many accountants still preferred to file their more complex client returns by paper, to avoid the typical E-File document support requests; this is no longer an option. Note: Believe it or not, I have seen this issue arise not only where a client did this unknowingly, but also where an investment adviser suggested the transfer. Do not transfer stocks with capital losses to your RRSP. As per this blog on RRSP swaps, I had thought these type transfers had been essentially eliminated. However, I was told as recently as last week by an adviser that his firm still undertakes such transfers. 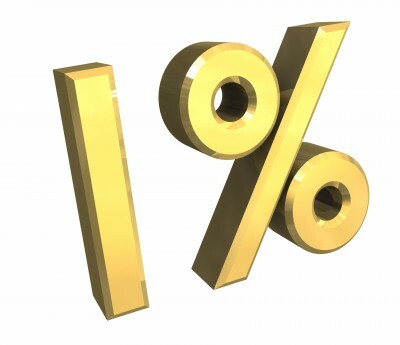 In July 2011, I wrote about the income tax savings that may be derived by using a 1% prescribed interest rate loan to income split with your spouse and children. As the world economies would have it, interest rates have not moved very much over the last eighteen months; consequently, the Canada Revenue Agency (“CRA”) prescribed interest rate is still 1% for this quarter. I would therefore suggest that the use of a prescribed interest rate loan is still an attractive tax planning alternative, however, today I will expand the use of these types of loans to include a loan to a family trust for purposes of income splitting. To recap the above blog post. The Income Tax Act contains income attribution rules that typically reallocate income to the higher income earner when he or she tries to income split with his or her spouse or children. However, there is an exception to the above attribution rules where an individual makes a loan to a spouse or minor child and interest is charged on the loan at a rate at least equal to the CRA’s prescribed interest rate at the time the loan was made. Where the loan carries interest at a rate no less than the prescribed interest rate, the attribution rules will not apply. For the loan to avoid the income attribution rules, the interest owing must be paid each year within 30 days after the end of the year (i.e. January 30th). As I noted at the end of the blog post, income splitting with minors can be problematic because minors generally cannot enter into an enforceable contract. Thus, I suggested the use of a family trust to navigate the enforceability issues. Today, I want to expand on the use of a family trust for these type loans. Where a family trust is a shareholder in your company, the kiddie tax rules make income splitting with beneficiaries problematic and typically the trusts are only beneficial for children once they turn 18 or where the company is sold and you can "sprinkle" the $750,000 capital gains exemption amongst your family members. Shockingly, for once, individuals have a planning advantage over corporations. Where you do not have a corporation or the circumstances don’t allow for the introduction of a family trust as a shareholder of a corporation, a family trust can still be utilized to income split, by utilizing a prescribed interest rate loan to a family trust. The beauty of making a prescribed loan to a trust is that the kiddie tax will not be applicable and if structured properly, children under 18 who are beneficiaries of the trust can be used to income split. To prevent any confusion, let me clarify. A family trust is not an “in trust” account that some institutions allow. What I am talking about here is a formal discretionary family trust governed by a trust agreement or trust deed drafted by a lawyer and properly settled, often by a grandparent. The beneficiaries of a family trust in the case of a prescribed loan trust would include both minor children and children 18 years of age and over and the trustees would typically include at least mom or dad, if not both, and an arm’s length third party. Once the family trust is settled, mom or dad makes a loan to the trust at the prescribed interest rate in effect at the time of the loan (i.e. 1% if the loan was made this quarter). It is very important to understand that the Income Tax Act requires that the loan carry an interest rate at least equal to the prescribed rate at the time of the loan and that this interest rate remains in effect the entire time the loan is outstanding. Thus, the 1% interest rate will not change as long as the loan is in existence, even if the CRA’s prescribed interest rate increases in the future. I cannot emphasize what a huge benefit the low permanent interest rate is in our current low rate environment. If rates begin to rise, the trust will continue to only pay 1% interest, yet the family trust can earn say 7% interest without the risk that would be required today to try and achieve a 7% return. Once the trust receives the loan proceeds, it will then invest the funds, but must pay mom or dad the 1% interest by January 30th of the following year. Mom or dad must report the interest earned on the loan in their personal income tax return and the trust is entitled to an interest expense deduction for the interest paid. The income earned by the trust less the interest expense paid is then allocated out to the children and is taxed in their hands, which in most cases will result in no income tax. The trust can be used to pay the children’s school costs, camp costs, etc. So why isn't there a proliferation of family trusts used for income splitting of investment income? Well, the legal and accounting costs of setting up the trust can range from $4,000 to $8,000 give or take and there are also annual T3 Trust filing costs charged by an accountant. In addition, as noted yesterday, in order to make this worthwhile, the parents would typically need to advance at least $500,000, but probably closer to $1,000,000 in this low rate environment to make the additional income tax filings and administration costs worthwhile. However, you could establish or settle a trust and loan it, say $100,000 today, to lock in the 1% rate, if you believe the compounding effect of the invested money will provide you with significant investment income down the road or you expect the stock market is going to go gangbusters in the near future. Remember though, any loans advanced to the trust in the future will need to carry an interest rate at least equal to the prescribed rate at that time, so if you loan the trust more money in the future and the prescribed rate increases to say 5%, the additional loan will be subject to the higher interest rate. Where you have funds available for investing and have children with significant private school or university costs, then you should consider the creation of a family trust and the use of a prescribed interest rate loan for income splitting purposes. Alternatively, you can just use the trust to build up funds in your child's name to help them buy a car or a house. Tax planning of this nature is very complicated as you must navigate several income tax and trust law provisions to ensure compliance. 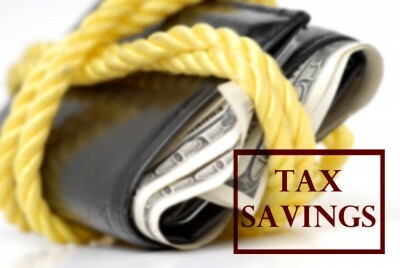 Before considering tax planning of this nature, you must consult with an accountant and/or lawyer. 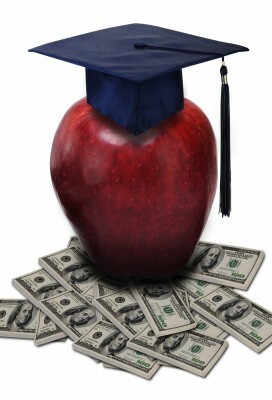 Paying for Private School with Tax-Free Money – Got an Extra Million? A few weeks ago, there was an advertisement in a national newspaper by one of the large banks wealth management divisions, about utilizing a family trust to pay for private school tax-free. The advertisement went on to note how this trust could not only help fund a child's/grandchild's private school costs, but how the trust could allow parents and grandparents to retain control over their initial capital. I had two clients call that morning asking about the advertisement and what it entailed. One client already had a variation of the planning vehicle in effect. With the other, we had discussed the idea a while back and it was not adopted, but in both cases, the advertisement caught their attention even though they were unsure what exactly was being proposed. I thought this advertisement was a brilliant piece of marketing by the financial institution and the related investment advisor. 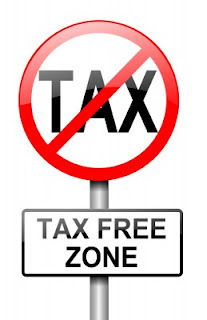 The headline sensationalized the term "tax-free" and hit upon a sore spot for many high net worth people, the after tax cost of their children's private schooling, for which a family trust can be an effective vehicle to reduce such costs. However, the issue with the advertised trust or any trust that I propose to one of my clients is: how much money do you need to establish the trust? I would suggest that in this low interest rate environment, you would require at minimum $500,000 in free cash, but more likely $1,000,000 for this plan to be cost effective. If you have been a loyal Blunt Bean Counter reader, you already know about family trusts. I have discussed the use of family trusts on several occasions and even looked at how they would be beneficial in the payment of university costs. The key to the advertised family trust is that capital gains generated inside the trust can be distributed tax-free or nearly tax-free to children or grandchildren who have little or no other income. Depending upon the manner in which the trust is established, dividend and interest income that is allocated to a child under 18, may or may not be distributed tax-free and may or may not create income attribution issues that negate the value of the trust (see my blog post tomorrow). For the purpose of today's blog post, I will just concentrate on capital gains and ignore interest and dividend income for now. 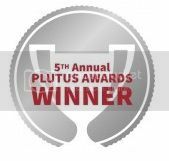 If a trust is settled with or loaned $500,000, it would need to realize around 5% yearly capital gains appreciation to earn $25,000 in capital gains, an amount that could be distributed essentially tax-free ($250 or so of tax) to a child to pay for their private school if they have no other income. That sounds pretty good (assuming you can realize 5% in capital gains each year, easier said than done). However, we have not accounted for the fact that $25,000 in capital gains transferred to your children or grandchildren would only save the parent/grandparent approximately $6,000 in tax (at the highest marginal tax rate). The tax benefit is reduced further by the cost of establishing the trust, any fees you would have to pay the financial institution for administering the trust and the fees you pay your accountant for filing the trust tax return. I would therefore suggest that for this type of planning to be cost effective, the parent or grandparent would need to loan or settle the trust with an amount in excess of $500,000, maybe even $1,000,000 to make this a worthwhile tax vehicle. If you don't have $500k lying around, you could establish the trust with a lesser amount using a prescribed rate loan to lock in the 1% prescribed rate, however, I would still question the tax and cost effectiveness of such a move. I'll discuss these details tomorrow. I have not reviewed the details of how a family trust works here; you can read the links above if you would like to get up to speed. Tomorrow, however, I am going to post a blog on using a prescribed rate loan to fund a family trust that can be used to help pay for private school, university or any other costs your child has, which is probably very similar to what that financial institution's trust does. See you tomorrow. My twitter tax tips for this week are listed below. Nothing too fancy there, I like next week’s better. However, I’ve added a couple quick comments to the tips below. Note: University students are notorious for not printing out their T2202a tuition forms and holding up the filing of their parent’s tax returns. These forms are sent by the Universities and Colleges to their student’s portals typically in the next week or two. Please remind, or in my case, harass your kids to print out the form and email it to you. Note: It is very important to ensure you have updated carry forward information for your capital losses. You want to ensure you claim the maximum amount of capital losses carryforward against any current year gains. Note: If you moved to a new job this year, it is very important to gather all your receipts for any expenses you incurred and summarize as required by the CRA. See the link above and the form T1-M to understand what expenses are eligible and how the CRA wants these expenses aggregated.